And a cacophony of sound! 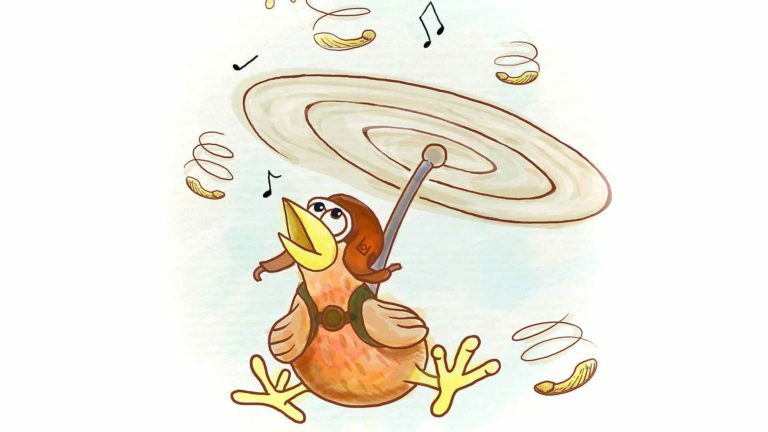 The whirlybird cannot fly like the rest of the birds. It’s clumsy, it’s loud and does not like straight lines! Everything for the whirlybird happens in circles and twirls, in flips and tumbles. It yearns to fit in and fly smoothly with the flock, experiencing the beautiful sights that the other birds see when soaring through the sky. Encouraged by its friend, the old and wise sycamore tree, the bird starts on a journey to discover its wings, but will it ever find a way truly to fly? The Whirlybird is created in partnership with Platform and with support from Creative Scotland. This production is part of The Puppet Animation Festival.